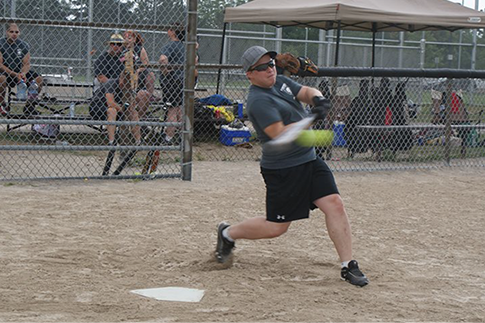 The league is a fun 3-pitch mixed co-ed softball playing Sundays from 6-8 pm from May till August. We play at Brant Hills and Roly Bird diamonds in Burlington. We accept individual registrations but will try to group up to three people together on a team. The use of Helmets and pitching cages is mandated for safety purposes. The league will provide helmets if the individual hasn’t purchased. Cost is $100 including a t-shirt and year-end party. Registration for our 2019 Season is now open ! For any questions please e-mail John Waller. Schedule/Standings will be tracked using Game On Mobile. Download the app and just search for NCCA and you’re DONE!